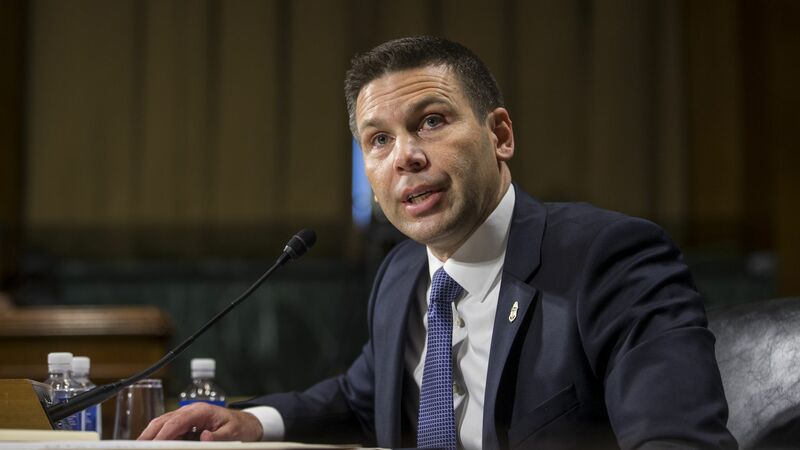 President Trump elevated Kevin McAleenan, commissioner of U.S. Customs and Border Protection, to acting secretary of homeland security following Kirstjen Nielsen’s abrupt resignation Sunday evening. The bottom line: McAleenan has now been thrust further into the bitter escalating fight over Trump's immigration policies and put in charge of some of the president's key hardline initiatives, including a push for a long-promised border wall and a crackdown on illegal immigration. McAleenan joined CBP agency in 2001 and served under both Democratic and Republican administrations. Before joining the Trump administration in January 2017 as the agency's acting commissioner, he served as deputy commissioner under President Obama. He is "generally well-liked by leaders in both parties and is viewed as a neutral, technocratic law enforcement official, rather than an immigration hawk," per the Washington Post. He received a 2015 Presidential Rank Award, the country’s highest civil service prize. The Senate confirmed his nomination in March of last year to lead the CBP, in a 77-19 vote. But his nomination was delayed for three months amid allegations of misconduct that were eventually dismissed and cleared of wrongdoing, NBC News reported at the time. Anonymous accusers reportedly alleged that McAleenan had an affair with a subordinate and sidestepped procedures to fund an immigration detention center. McAleenan has been responsible for identifying designs and locations for Trump’s long-promised border wall. He told reporters in El Paso, Texas, last month that the country’s immigration enforcement system along the southern boundary was at "the breaking point," as the number of immigrant families attempting to cross the U.S. border with Mexico continues to spike. He called on Congress to act, but notably did not mention the border wall. Worth noting: With McAleenan's appointment, Trump now has an acting homeland security secretary, defense secretary, interior secretary and chief of staff. The latest: Nielsen said in a tweet Sunday night she had agreed to stay on as homeland security secretary until Wednesday "to assist with an orderly transition and ensure that key DHS missions are not impacted."